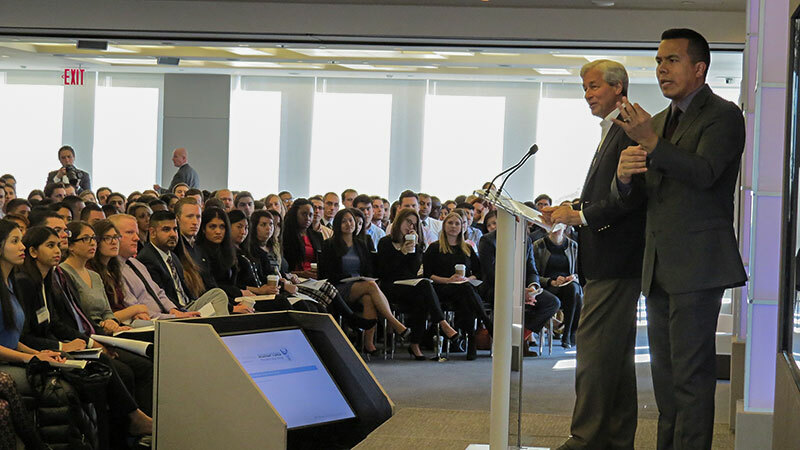 JPMorgan Chase - New York, USA - How do you make a company with employees operating in over 100 countries around the world feel connected and empowered? Our Business Resource Groups (BRGs) aim to answer exactly that with inclusive groups of employees with common interests. BRGs bring employees together and also foster networking opportunities and a sense of camaraderie. These groups are defined by shared affinities, including race and cultural heritage, generation, gender, sexual orientation, military status and professional roles. How do you make a company with employees operating in over 100 countries around the world feel connected and empowered? Our Business Resource Groups (BRGs) aim to answer exactly that with inclusive groups of employees with common interests. Jamie Dimon, Chairman & CEO of JPMorgan Chase & Co. (left), shares basic principles that will carry you a long way in career and life. BRGs bring employees together and also foster networking opportunities and a sense of camaraderie. These groups are defined by shared affinities, including race and cultural heritage, generation, gender, sexual orientation, military status and professional roles. Ranging from PRIDE (for LGBT employees) to BOLD (for colleagues of African descent), BRGs offer forums for thought leaders to share ideas and connect employees globally. NextGen aims to empower employees across the globe to be successful and productive. 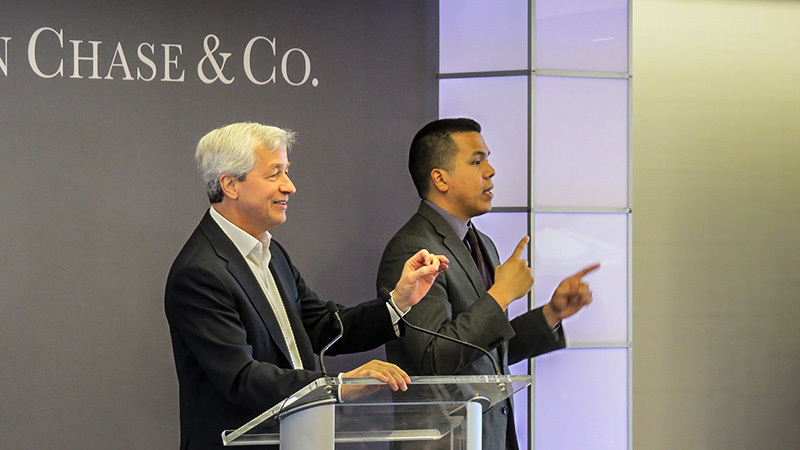 Recently, this group was inspired to hear from our Chairman and CEO Jamie Dimon. In fact, Black Enterprise just recognized JPMorgan Chase as a top company for diversity based on its success in advancing and nurturing an inclusive environment. One such BRG is NextGen, focused on early career professionals who want to actively advance an inclusive workplace while developing personally and professionally. How to get ahead in career life is a question on a lot of people’s minds. One piece of simple advice from Dimon? Contrary to popular belief, earning a promotion is not about impressing your boss - it’s about creating a reputation for honesty, character and collegiality that transcends your immediate work group. “A lot of your promotions, they’re not going to come because your boss anoints you to another job. They’re going to come because people want to have your services - they’ll start to compete for you because your reputation is so good.” - said Jamie Dimon, Chairman & CEO of JPMorgan Chase & Co.
Dimon advised NextGen members to keep it simple as they progress through their careers. “Do the right thing and explain it. Do not do the wrong thing because you’re afraid,” he said. 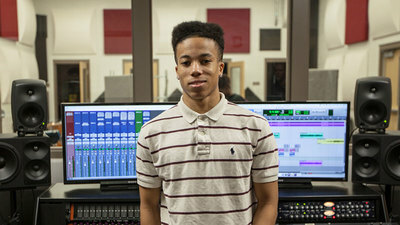 18-year-old Jaylen James stands in front of professional audio equipment at Stewarts Creek High. 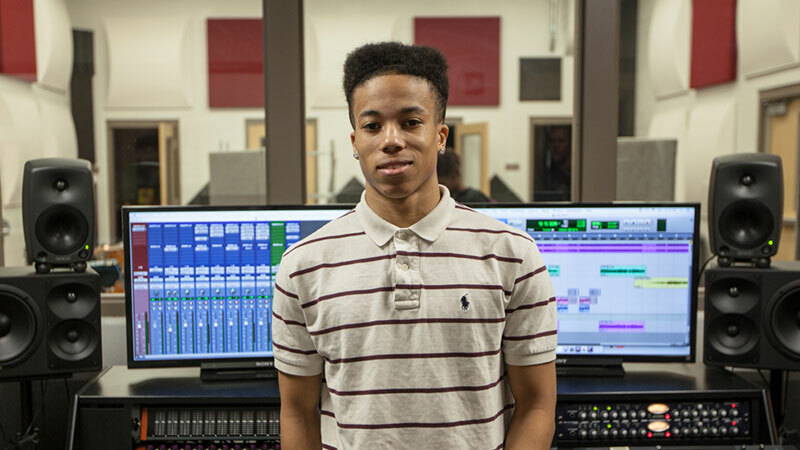 James also has a modest studio of his own, a collection of equipment and software he bought for himself with the money he earned working at a local restaurant. 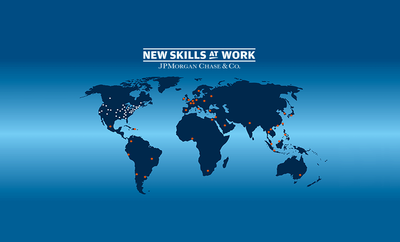 Through several targeted philanthropic initiatives, JPMorgan Chase is investing over $325 million in skills development around the world. In addition to the New Skills for Youth initiative, these investments include a separate five-year, $250 million global initiative called New Skills at Work to help fill the skills gap for employers and simultaneously provide adult workers with a real and tangible pathway to economic opportunity, as well as a $5.8 million effort to support summer youth employment programs for youth around the country. Health Sciences students at Lenoir City “assess” a classmate during a car crash simulation. 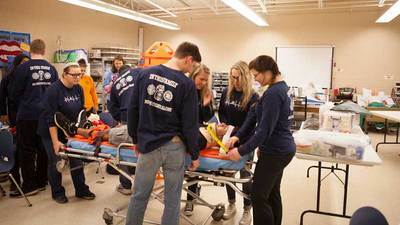 Health Science students at Lenoir City often learn material through hands-on role-playing activities, including mass casualty situations held on the school’s football field. We believe every young person deserves a pathway to economic success. That’s why we’re announcing a new $75 million investment to expand high-quality career-focused education programs that lead to well-paying jobs and long-term careers. A group of boys work on a car during their Auto Mechanics class at Stewarts Creek High. Auto is a major industry in Smyrna, which is also home to a Nissan plant. The plant generates over $290 million in annual payroll, per their website. Failing to prepare young people with the right skills and education for these jobs is not just a missed opportunity for them - it’s a missed opportunity for businesses to hire the talent they need to grow and compete. 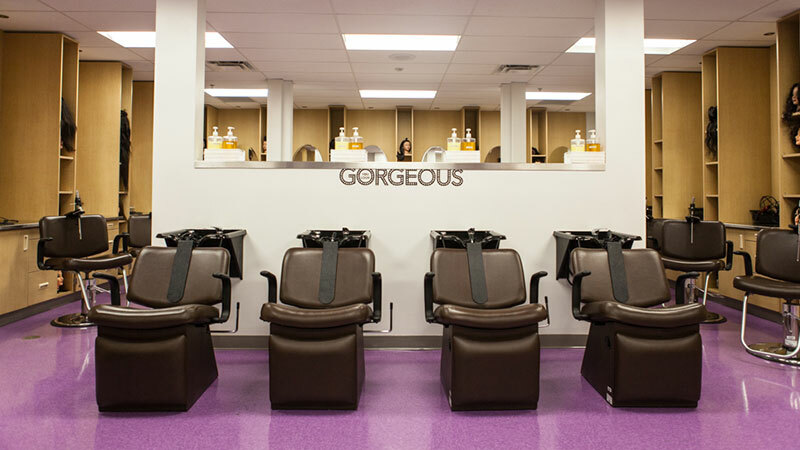 The full-scale hair salon at Stewarts Creek High School in Smyrna, Tennessee was empty as cosmetology students studied book material in a nearby classroom. "Economic opportunity is increasingly out of reach for millions of young people. Without the right skills or education, they find themselves stuck in low-skill, low-wage jobs or unemployed. We are in investing in high-quality career-focused education programs so that more young people have a shot at real economic opportunity." – said Jamie Dimon, Chairman and CEO, JPMorgan Chase & Co. However, every day we hear from our business clients – firms of all sizes, in every sector of the economy across the globe – about the challenges they face finding workers with the right skills for a range of jobs. 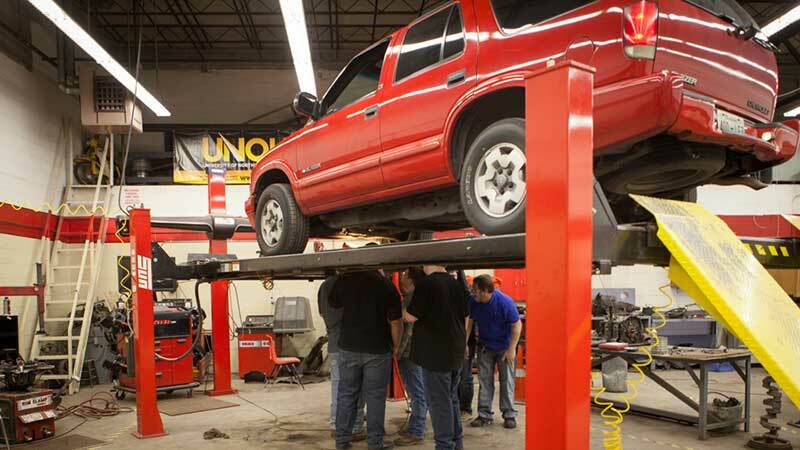 A disconnect continues between what's being taught through career and technical education, and the requirements of middle-skill jobs, which include some training but not necessarily a four-year degree. Across the globe, employers, educators, policymakers and training organizations have recognized the critical importance of tackling this skills gap. • We are a leading global financial services firm with assets of $2.5 trillion. • We operate in more than 100 countries. • We have over 240,000 employees. • We serve millions of consumers, small businesses and many of the world's most prominent corporate, institutional and government clients. • We are a leader in investment banking, financial services for consumers and small businesses, commercial banking, financial transaction processing and asset management. • Our stock is a component of the Dow Jones Industrial Average. General Ray Odierno Appointed Senior Advisor To JPMorgan Chase & Co.